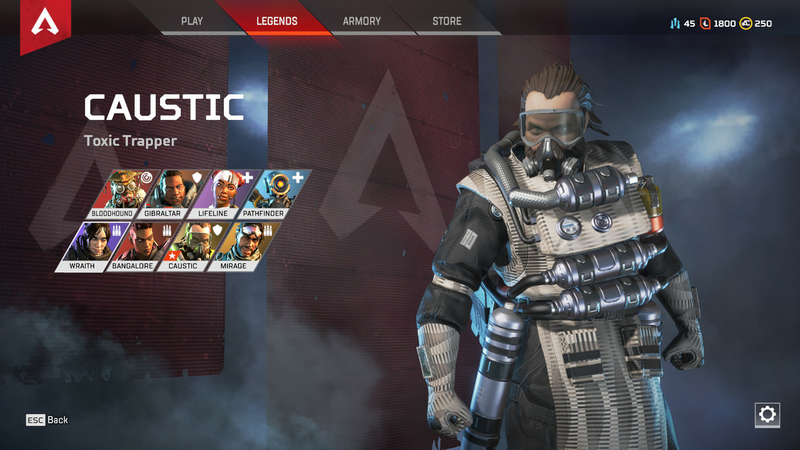 iTech – Blog: iOS • Android • Windows • Mac • Game • Technology » Which Apex Legends character should you buy first? Which Apex Legends character should you buy first? 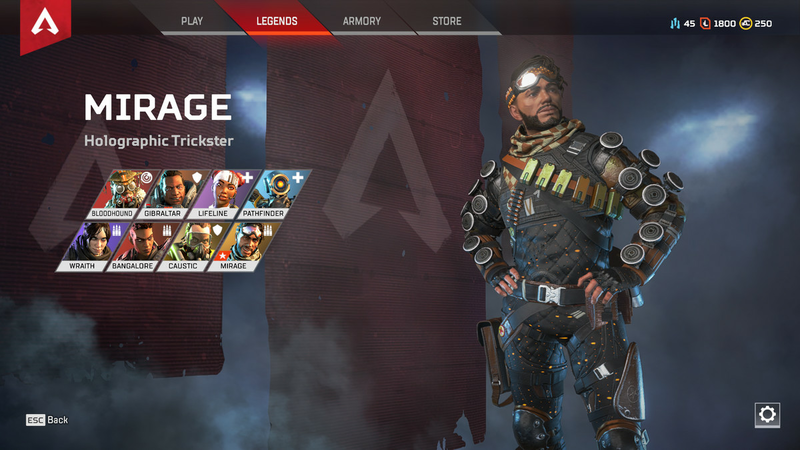 Apex Legends currently has eight characters, six of whom are free for everyone. Mirage and Caustic are the two Legends locked behind a grind or pay wall, and deciding between the two can be tough. We can help with that. How many tokens do I need and how long will it take? You’ll need 12,000 Legend Tokens to buy a new Legend. You earn these every time you level up. You should have enough to buy a new Legend around level 23. You get more XP for killing more enemies, becoming the kill leader, or winning the game. It seems the best way to really rack up the experience is surviving for as long as possible each round. If you want to earn Legend Tokens quickly, play aggressively. This playstyle will make you better at the game and help you to survive into the late game. Additional engagements mean you’ll learn the combat faster and be more prepared for the final shootout. Of the two characters, Mirage is probably the weakest choice. He plays a similar role to Wraith — and is not as good at that role. Mirage’s Decoy reveals enemies hiding with snipers or around a corner, making them great spotting tools. However, the decoys have weak AI, breaking if they bump into anything. If an enemy spots your stupid AI, they’ll know that you’re nearby. Mirage’s ultimate makes him quite useful, turning him invisible and spawning a group of decoys. Unlike Wraith’s, it’s on a much longer cooldown, but there’s no animation and the stealth lasts for several seconds. This gives Mirage plenty of time to get away and reposition around the fight. All of Mirage’s skills play into him dodging in and out of fights to confuse his enemies — or getting them to reveal their location to the whole squad. They are powerful tools in the right hands, but you have to work hard to make Mirage useful. Caustic is a defensive character, designed to lure enemies into fighting on his terms, rather than pushing into their domain. Caustic’s most potent aspect is Nox Vision. This passive ability highlights enemies trapped in his smoke screen. His smoke blinds allies and enemies, but Caustic sees enemies in his smoke, even if he’s very far away. Caustic’s best strategy is to trap enemies in smoke, taking away their vision and enhancing your own. But like all things with Caustic, this requires preparation. He’s the character you pick when you want to get in the zone early and hunker down. Caustic can be tricky to play as or squad up with. He requires an advanced understanding of the map to succeed because knowing where enemies are likely to come from enables him to set up traps. You’ll need a mix of agility and patience when playing Caustic. Who should I pick first? Caustic is the better pick than Mirage in the current state of Apex Legends. He’s not the kind of character you’ll take into every game, but if you can get Caustic in a building or a small area, he excels at locking down choke points and suffocating advancing enemies. I have them both. Now what? The simple answer is wait. Based on Apex Legends’ content roadmap, a new Legend will launch each season. Season 1 starts in March and lasts for three months. Until then, keep playing and earn more Legend Tokens. You should have enough for the next character when it’s released. Apex Legends has three different currencies with slightly different uses and ways to earn them. Here’s our breakdown on what exactly each of the game’s currencies are used for.